With Daylight Savings Time having us hit rewind on all fronts, we can safely say winter is in full effect. But don’t fret, your skin won’t have to succumb to those winter blues because DERMAFLASH 2.0 LUXE promises to serve as your nearest and dearest BFF to slough away dead skin cells and keep your skin looking shiny and new! This season, we’re making a case more than ever for flashing our face, but winter is truly one of those seasons where dermaplanning at home can make all the difference! Just think about all the gunk that sits at the surface of your skin due to the brutal mix of harsh winds and excessively dry interior heat—day after day. Yikes! If the very thought of dull, drab skin has you worried about your winter skincare regime, you’re not alone. Below we dissect five hard and fast reasons why flashing your face is ideal this time of year and how you can fight off flaky skin this winter like a pro–all from your cozy abode! 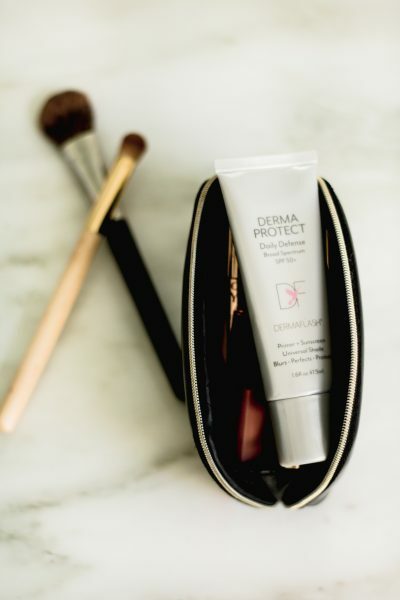 At DERMAFLASH HQ, we’re all about scouring beauty bibles, and at the same time disrupting beauty myths, to deliver the latest and greatest news on skincare and beauty trends. We love making radiant, younger-looking skin our mission and have found that proper exfoliation plays an integral role in glowing skin! Ladies, you really need to let your skin breathe properly by removing clogged bacteria, dead skin and dry patches before adding hydration. Case in point, our cells work overtime replenishing themselves, so staying on top of exfoliation can really do wonders as a base level protocol for maintaining healthy skin. This includes using FLASH & GLOW Resurfacing Peel Pads and flashing with DERMAFLASH 2.0 LUXE to remove grime, dry patches and flakes to reveal skin that is soft and supple. We truly find that exfoliation is key in reviving our skin come wintertime—and of course, including in proper hydration. Do you find that your skincare doesn’t work quite the same in the winter? We feel you! Once we clearly understood the correlation between a cluttered complexion and congested skin, we began getting at the root of why we many of us had dull skin during the colder months. Exfoliating with our trusty DERMAFLASH 2.0 LUXE gently polishes away dead skin cells to allow skincare ingredients to work properly. Fun Fact: We sometimes let our skin breathe, sans makeup, to allow our natural luminosity shine true with the help of flashing. Trust us when we say dermaplaning is truly transformative…and time-saving! Again, you may find that drenching your skin in extra moisturizer is not cutting it as we transition into colder weather. The reason is your skincare is simply sitting at the surface instead of seeping into your skin to provide a veil of moisture. As advocates of proper skincare absorption, we’re thrilled that Allure Magazine awarded us with their prestigious Best of Beauty Award in recognition of our hyper-dedication to all-things-skin! We’re honored to be chosen as a 2018 Allure Best of Beauty Skincare Device and most importantly, are humbled to help women combat dry, lifeless skin this winter. You’ll find that flashing on a routine basis will provide a new appreciation for your skincare products and allow serums, masks, and creams to better target dryness. We all want to look our best during the holidays—and good, clear skin is crucial for not only looking our best but feeling our best. All of us at the office rely on our favorite DERMAFLASH 2.0 LUXE (the pink one being my favorite) to get glammed and glowing for any and all soirees—especially during the holidays! We invite you to upgrade your current holiday beauty routine to include the removal of unwanted hair and dead skin to reveal smooth skin that’s begging to be kissed. You’ll look renewed and refreshed for all those festive photos! Not to mention that holiday makeup will be poppin’ on top of a clean canvas! We love spending a night-in doing Netflix n’ Flash! 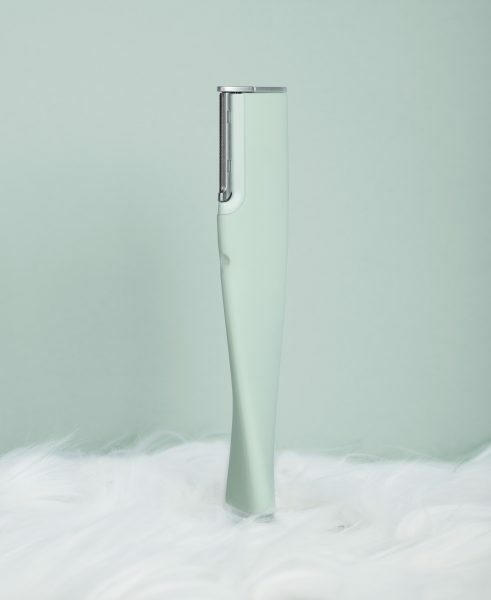 Removing pesky peach fuzz is not only gratifying, but game-changing because we understand that we are also removing crusty bacteria with every pass of our DERMAFLASH 2.0 LUXE. This is one of the reasons why once you flash, you don’t go back! Polishing and clarifying with your favorite DERMAFLASH device is like having a little magical wand to remove trapped debris, pollutants, water minerals and yucky particles. 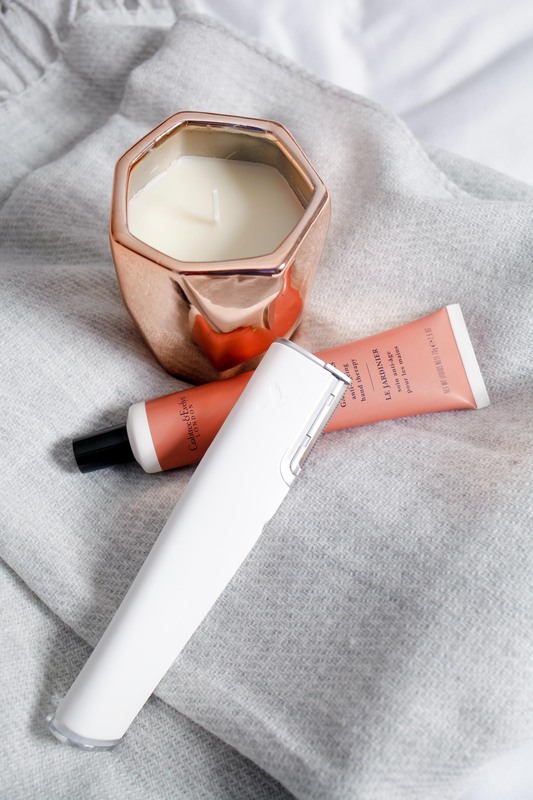 You’ll find that properly cleansing with your DERMAFLASH 2.0 LUXE device will give you that next-level glow all season long.